They are a wonderful way to upgrade your skills, and keep abreast of current trends, research and applications in holistic nutrition. These courses qualify in having CNPs meet all upgrading requirements for both the IONC and CANNP. We look forward to seeing you again for an enlightening experience.These courses are open to practitioners and general interest participants. The practice of herbal medicine is both healing and transformative towards its practitioners and its patients. This four-day herbal intensive has been designed to deepen the Holistic Nutritionist’s knowledge of plant constituents, pharmacology, and medicine making using a fun and ‘hands-on-herbal’ approach. Building off of material from HM008, each session will focus on empowering your ability to formulate and create natural and effective herbal remedies for common clinical conditions right from home. This interactive, workshop-style course uses the fundamental principles of journalism as a springboard for exploring a multitude of writing styles that will enhance your online presence and connectivity with people who want to learn from the knowledge and experience you have. You’ll learn the basics of article writing and reporting, as well as how to write editorials, features, profiles, newsletters, blog posts and website content that will connect and inspire. This course is designed to help practitioners effectively use detoxification to support health and wellbeing. Participants will learn the key mechanisms of detoxification by body organs and tissues, as well as body requirements for safe and effective detoxification. This course will include examination of sources of toxicity; foods, supplements and procedures that support detoxification; and detoxification protocols currently used by health professionals. Course content will be supported with clinical evidence and published research. The science and art of Iridology is based on the careful observation of one of the most complicated tissue structure of the body – the eye. It is estimated that some 200 differentiating signs may be charted in the individual iris. The goal of the science and art of Iridology is to understand the essence of a client, to get to the root causes of dis-ease or disease and to help him/her return to or maintain health. Good Digestion has always been the key to health and immunity, still true today as in ancient times. This unique practical program combines the best of Ayurveda food science into an experience of meal preparation and sharing. Participants will learn the properties of foods in relation to their unique constitutional nature and understand why the same diet doesn’t work for everyone in all circumstances. This course helps practitioners make sense of the vast amount of research and public dialogue on therapeutic nutrition and supplementation. It is designed for health care practitioners interested in increasing their knowledge of using foods and supplements therapeutically. We will discuss the scientifically supported healing properties of each supplement and therapeutic/super food, their basic mechanism of action, and highlight the best evidence-based interventions for common health conditions they can improve and/or heal. This eight-session course focuses on our body’s natural ability to design and nurture a growing baby. We examine a number of key reasons the body deals with infertility, how to track fertility and enhance it. We look at supplementation, what is safe and what is not. We examine each trimester; look at labour and delivery of a healthy newborn and finally, the stages of feeding. With foundation work laid out in level 1, this next level will expand a practitioner’s awareness to deeper investigate hands-on healing. This course will give you the ability to clear energy of the chakras and all areas of the physical body, as well as the ethereal energy fields. Practitioners will learn the power of added breath work to further support these hands on healing techniques. This course explores practical applications for energy medicine, which can be utilized both for yourself and with clients in practice. These applications include muscle testing, surrogate testing, distance healing, the releasing of energy disturbances/ blocks creating allergy, intolerance and chemical sensitivity. It will teach the practitioner how to better ground themselves, connect to their own highest intelligence, maintain healthy energy boundaries in the presence of others. This course will focus on the supplements available on the market and how to determine what to use clinically. With so many supplement companies, similar looking products, what should be used when will be thoroughly covered. We will discuss appropriate products for common health conditions such as inflammation, cardiovascular disease and hormone imbalance, and decipher between the many similar formulations for each. This course incorporates scientific and logical approaches to losing fat the right way. It will distill the myths and hype surrounding this battle against body fat accumulation. Participants will learn the role macronutrients play in metabolism, fat cell anatomy, endocrine function, health markers that contribute to obesity, dietary manipulations that increase fat burning, exercise protocols, research based dietary weight management supplements and recipes and meal plans for a lean body. This course will help both new and established practitioners understand the foundational importance of blood sugar management in their clients. This course will examine the entire spectrum of blood sugar imbalance from hypoglycaemia to insulin resistance and diabetes and how it impacts every organ system as well as its role in all the main chronic conditions including cardiovascular disease, cancer, diabetes and dementia. This course is intended to provide the tools that holistic nutritionists can use to deliver personalized healthcare to their clients,catered to their genetic makeup. Genetics plays a very robust role in nutrition, detoxification, weight loss and overall health and wellness. Furthermore, genetics can be used not only to improve the health of the clients but also to develop DNA based nutritional plans that can potentially prevent the development of chronic diseases. The goal of this course is to provide holistic nutritionists with practical tools to address the profoundly important, evidence-based, connection between mindset and physical health. Beliefs, thoughts, emotions and behaviours greatly affect stress physiology, which in turn impacts digestion, weight, immunity, mood, energy and much more. Help your clients become aware of their mind’s messages and understand how their limiting beliefs, thoughts and emotions are catalysts for lasting change. Participants will receive a Certificate of Completion in Herbal Medicine Making Herbal Medicine Making runs once a year at the Ottawa Campus. Medicine Making is the skill that bridges herbal knowledge and the understanding of human health and well-being. Understanding the effectiveness of different modalities of herbal medicines, and when and how to use them, will allow students to achieve the best results in promoting healing and health for their clients. Participants receive a Certificate of Completion in Understanding Lab Diagnostics in Clinical Practice. This course offers abundant information about the practical applications of homeopathic principles and the utilization of the Twelve Cell Salts of Dr. W. Schussler. 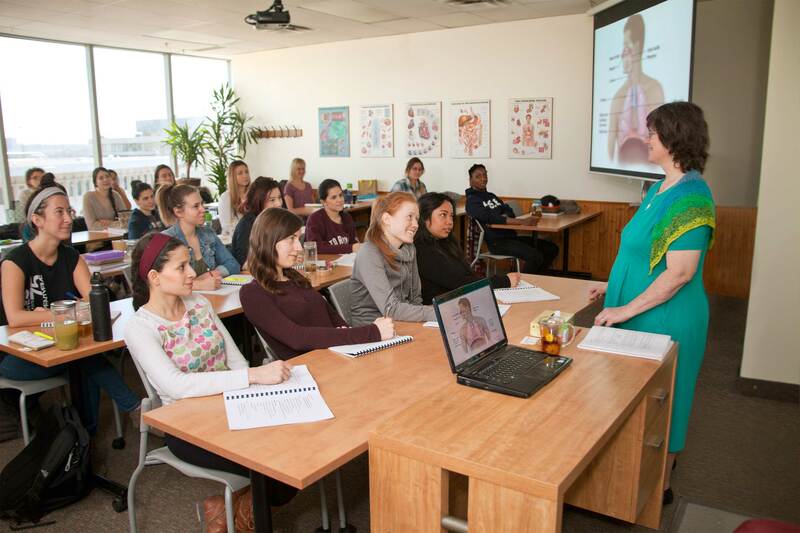 Students will study 50 commonly used homeopathic remedies to address imbalances of digestion, headaches, colds, coughs, allergies, female issues and first aid situations. The history and method of preparation and the utilization of Schussler cell salts will be covered in detail. Participants receive a Certificate of Completion in Blood Sugar Management in Clinical Practice. Blood Sugar Management in Clinical Practice runs once a year at the Ottawa Campus.